We can accommodate any style of event whether it be a small number of people or a large company production or whether using modern ‘voice over’ techniques or ‘in vision’. There is always a need for a person to act as Stage Manager on the day, greeting and directing guests, announcing dinner, or even just the start of the event. There is also the the formal part of the ceremony, the introduction of speakers, the handing out of awards and then bringing the entire event to a successful conclusion. As Lady Celebrants and professional Master of Ceremonies we can have as little or as much involvement as you wish. Depending on your exact requirements we can accommodate a wide varieties of roles. Before the day we can assist you with script preparation if required and on the day we can play an integral part in the proceedings interlinking with all the facets of the event, to ensure its smooth running and that everything runs to plan and on time! Lady Celebrants are independent celebrants committed to designing, writing and delivering bespoke ceremonies to celebrate your important life events the way you want and at a place where you want it to be! Whatever the occasion, we can deliver your ceremony the way you want it. If you have any questions or would like to discuss the type of ceremony that you are looking for - please do get in touch. 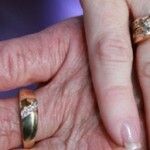 ©2012-2019 All content and images copyright Lady Celebrants their suppliers and licensors.